It’s a fine day in Utah. The weather’s good enough that you put on your hat, roll up your sleeves, and do some yard work. Maybe you’re pulling weeds in Logan or trimming trees in Sandy. Either way, you hear the buzzing of small wings, and an insect lands near you. Maybe even on your exposed forearm. You probably should ask some questions before you do anything rash. The insect, a tarantula hawk, is about two inches long. Its body is an iridescent dark blue, supported by six long legs. It has bright orange wings. If it’s a male, it will have straight antennae. If it’s female, the antennae will have curled ones. Only females have stingers. It’s called the tarantula hawk? Sounds nasty. But what is it? Don’t be confused by the name. It’s actually a kind of wasp. If that doesn’t make it seem less frightening, you’re right, it shouldn’t. The female tarantula hawk wasp attacks tarantulas, incapacitating them with its sting and using them as living incubators for her young. The larva eats the still-living spider from the inside. Bet you’d never thought you’d feel sorry for a tarantula. What is it doing in my yard? Tarantula hawk wasps live in desert climates and prefer dry areas. Lucky for you, they are not social wasps and usually live alone. They make burrows instead of nests and like living in cracks. But this just means you have to watch out if you’re about to step on one and if one is flying toward you. In Utah, you’ll find them as far north as Logan. What does it eat? Does it want to eat me? Again, you’re lucky. They outgrow the “tarantula-eating” phase of their larval youth. Fully mature tarantula hawk wasps are nectarivores, meaning they only eat flower nectar. Good news: They prefer the nectar of milkweeds, soapberry trees, and mesquite trees. 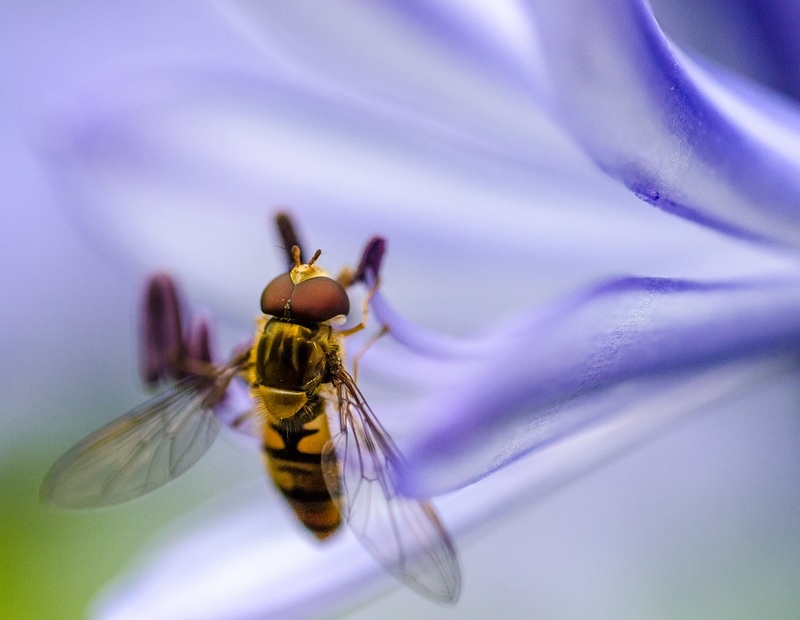 Bad news: Landscapers use these three plants, which might attract the wasps to your yard. It stung me! What should I do? Am I gonna die? No, you are not gonna die. But if you’ve just been stung by a tarantula hawk wasp, it’s surprising that you can still read this sentence. The sting of the wasp is one of the most painful insect stings in the world. It is so excruciating that the expert advice is to lie down and scream until the pain stops. This is because the sting is not fatal by itself. But the enormous pain it inflicts may cause you to trip or otherwise injure yourself by accident. If stung, just curl in a ball and scream your head off. A safe distance away from the wasp, of course. The pain should disappear after two to five minutes. Wash the area with warm water and soap when the pain stops. Tarantula hawk wasps rarely sting humans and only do so when provoked. 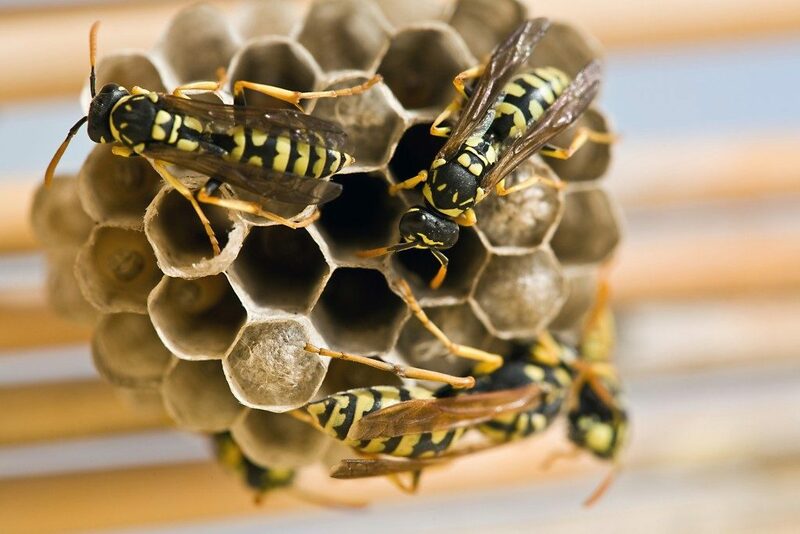 Experts suggest that you block up and seal any crevices and cracks that wasps may use as burrows. Tarantula hawk wasps are drawn to their living incubators: tarantulas. By getting rid of your tarantula problem, you also deal with the wasps. If you have any of the plants the wasps prefer to feed on, be careful and be on the lookout for them when the plants are in bloom. The tarantula hawk wasp may have an extremely painful sting, but it isn’t a deadly pest. You can take reasonable precautions and not be stung by one at all. It’s another fascinating, if terrifying, specimen of the natural world. But consider getting your mesquite trees professionally trimmed next time. Just to be on the safe side.